I love the library! As a kid, I’d invite my friends to go with me on our weekly visits--I couldn’t imagine a more wonderful place! The prospect of a trip to the library still fills me with excitement at the age of 40. Here are three ways I make the most of my library card. ​1. Request and Pick Up: As much as I love the library, as a mother of five, I don't really have the time to peruse the stacks like I used to. With the help of my trusty library card, I can reserve books online. I simply sign into my library's website, search for my book, and click on “Place Hold.” When my books are ready, I get an email from the library. When I arrive, they're waiting for me at the front desk. 2. Movie Rentals: We haven't had to pay for a movie in a long time. And yes, streaming is great, but it doesn't fulfill our every need. The library has a huge selection of movies that we can rent for a full week with no charge. 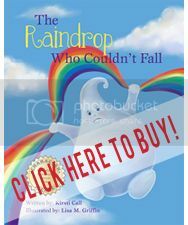 To read the rest of this post, go to Children's Book Academy, here. Last month I wrote about 5 ways to make the most of your library card. This month, I decided to interview my favorite children's librarian, Kimberly Bears. I first met Kim in the children’s section at my local library 5 years ago. I’ve never known a more cheerful, helpful and engaging children’s librarian. I still go to night readers, a tween and parent book club that she leads. 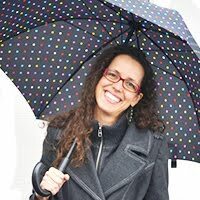 I’m delighted to have her perspective here on Children’s Book Academy. Kirsti Call: Why did you choose to go into library science and focus on kidlit? Kimberly Bears: I have always loved going to and working in the library. I think in the back of my mind I always wanted to be a librarian, but was side tracked by meteorology first. Anyway, I was taking a Ch. Literature course in college and one of the projects I chose to do was do a story time. I remember it vividly…it was on my birthday, and I chose to do a Halloween story time (you were allowed to do that back then ;) I dressed up like Dorrie the Witch and shared the book Dorrie and the Witch’s Imp. It went so well!! I left the room knowing exactly what I wanted to do with the rest of my life…be a Children’s Librarian…and I am still doing it. KC: What was your favorite book as a child? 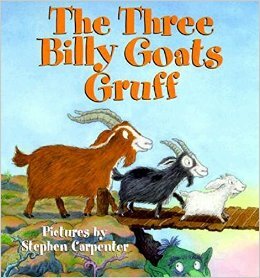 KB: My favorite book as a child was The Three Billy Goat’s Gruff by Paul Galdone. My first grade teacher read it to us and I immediately went home and told my family all about it. My Dad said he would take me to the library that weekend to see if we could borrow it. I can still remember him showing me how to look it up in the card catalog and how to ask the librarian where to find it. I was hooked from then on! (Luckily the book was in…or who knows where I’d be now…lol.) Can you even believe that I was in first grade before I actually went to the library for the first time? 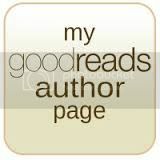 KC: Who is your favorite children’s author and why? KB: Oh man…this is a tough one…so many levels of books, so many genres…I honestly can’t pick just one! How about if I give you my favorite one for today…I just read Flora and the Peacocks by Molly Idle and I loved it! To read the rest of this interview, go to Children's Book Academy here.